Benefits that last for miles to come. In addition, the plan offers flexible payment options. When you buy the Star Prepaid Maintenance Plan at the same time as your Mercedes-Benz vehicle, you can build the cost into your monthly payment, or prepay up front. 1 Savings may vary by dealer and model. 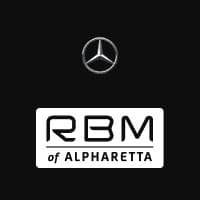 Mercedes-Benz Star Prepaid Maintenance is available for all models except Maybach, SLR, and SLS. Additional maintenance may be required according to your driving habits, mileage and local environment. Making sure your vehicle continues to run like new is easy when you visit a Mercedes-Benz dealership. Each service department is staffed by expertly trained Mercedes-Benz technicians, who will go above and beyond to help ensure your vehicle is receiving the highest level of attention and care. Ask us about Mercedes-Benz Star Prepaid Maintenance today. 1 This website provides general information about the optional Star Prepaid Maintenance product and should not be solely relied upon when purchasing coverage. Please refer to your Star Prepaid Maintenance agreement for details of terms, conditions, and specific coverage details, including limitations, exclusions, transferability and cancelability. Agreement cannot be cancelled and is non-refundable, subject to any limitations under state law. Coverage may vary by state. This product may not be available for all vehicle models. Please see your dealer for more information, visit www.mbusa.com/maintenance or call 1-800-FOR-MERCEDES.